Strong-minded and ambitious, Madeleine Karno is eager to shatter the constraints of her provincial French upbringing. She wants to become a pathologist like her father, whose assistant she is, but this is 1894, and autopsies are considered unseemly and ungodly, even when performed by a man - hence his odious nickname, Doctor Death. That a young woman should wish to spend her time dissecting corpses is too scandalous for words. 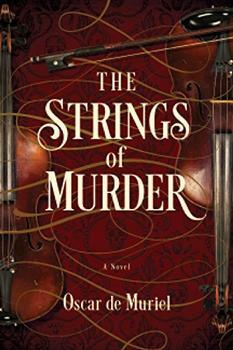 Thus, when seventeen-year-old Cecile Montaine is found dead in the snowy streets of Varbourg, her family will not permit a full post-mortem autopsy, and Madeleine and her father are left with a single mysterious clue: in the dead girl's nostrils they find a type of parasite normally seen only in dogs. Soon after, the priest who held vigil by the dead girl's corpse is brutally murdered. The thread that connects these two events is a tangled one, and as the death toll mounts, Madeleine must seek knowledge in odd places: behind convent walls, in secret diaries, and in the yellow stare of an aging wolf. Eloquently written and with powerful insight into human and animal nature, Doctor Death is at once a gripping mystery and a poignant coming-of-age story. It is snowing. The snow falls on the young girl's face, on her cheeks, mouth, and nose, and on her eyes. She does not blink it away. She lies very still in her nest of snow, slightly curled up, with a fur coat covering her like a quilt. Around her the city is living its nightlife, the hansom cabs clatter by in the cobblestone slush on the boulevard, just a few steps away. But here in the passageway where she lies, there is no life. Her brother is the one who finds her. He has been to the theater with some friends, and then to a dance hall, and he is happy and lighthearted when he returns home, happy and a little bit tipsy. That is why he does not understand what he is seeing, not at first. I read this in one sitting, propping it up against the salt-and-pepper shakers at mealtimes. Right away I was drawn in by Danish author Lene Kaaberbol's descriptive prose. (Reviewed by Donna Chavez). [An] engrossing mystery that deals with the darker side of life in 19th-century Europe. With its complex characters, this is sure to please fans of historical mysteries. Starred Review. Deftly exploring such themes as the struggles between mind and body, science and spirit - without detracting from a gripping plot - the novel transcends its period to contemplate the eternal. The autoimmune disease known as Lupus erythematosus, or Lupus, which forms a major thread of the plot in Doctor Death, affects approximately 1.5 million people in the United States, and some five million people worldwide (estimated). Ninety percent are women who experience onset sometime between the ages of 15 and 44, and about twenty percent of them will also have a parent or other relative with Lupus. Women of color are three times more likely to be affected than Caucasian women.